BlackBerry has finally revealed its BB10 OS and devices, the BlackBerry Z10 and Q10.The new OS is centered around touch gestures, even the Q10, which comes with a QWERTY keyboard. The BlackBerry Z10 has a 4.2” WXGA screen , a dual-core Krait CPU at 1.5GHz and 2GB of RAM to make sure it’s capable of multitasking, which plays a huge part in the new experience. BlackBerry also made sure the Z10 is capable in terms of multimedia with an 8MP main camera that has TimeShift and shoots 1080p video and an HDMI port. The phone packs 16GB of storage and you can plug in a microSD card (up to 32GB) to expand it. On the connectivity side, there’s LTE, Wi-Fi, Bluetooth 4.0 and NFC. The Z10 boasts an advanced touchscreen keyboard, which has received excellent reviews from the critics. If you still need a physical keyboard, the BlackBerry Q10 could be the one you are looking for. The smartphone keeps the trademark hardware QWERTY keyboard. It also has a touchscreen, a 3.1″ square AMOLED screen. 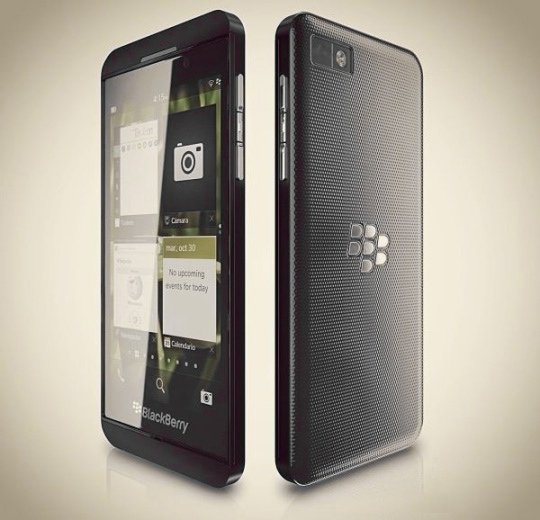 The BlackBerry Q10 has a stainless steel frame and an “edge-to-edge” glass on the front. Companies who have BES servers will need to upgrade to BES10 before they can integrate the new devices into their infrastructure. However, the devices can be used with Active Sync or POP3 Mail prior to the upgrade. The firm made the announcement as it revealed another set of disappointing quarterly results which saw the firm record a loss of $125 million (£78 million) and revenue slide 25% to $4.2 billion (£2.6 billion) from $5.6 billion in the same quarter a year ago. Reports that RIM intend to abandon the consumer market have been strongly denied by the company saying that their comments have been incorrectly interpreted. “While we announced plans to re-focus our efforts on our core strengths, and on our enterprise customer base, we were very explicit that we will continue to build on our strengths to go after targeted consumer segments. We listed BBM, as well as the security and manageability of our platform, among these strengths.” said Patrick Spence, RIM’s managing director of Global Sales & Regional Marketing. RIM today outlined plans to introduce BlackBerry® Mobile Fusion – the Company’s next-generation enterprise mobility solution and RIM’s entry into the multi-platform Mobile Device Management (MDM) marketplace. BlackBerry Mobile Fusion will simplify the management of smartphones and tablets running BlackBerry®, Google® Android® and Apple® iOS® operating systems. 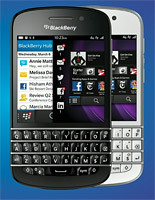 BlackBerry Mobile Fusion is currently in early beta testing with select enterprise customers. RIM is now accepting customer nominations for the closed beta program which will start in January, and general availability is expected in late March. RIM today announced two new additions to their product range – the 9790 a new Bold touchscreen and the 9380 which is a full touchscreen Curve. 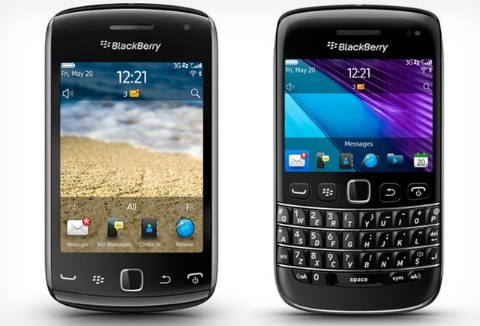 The Bold 9790 runs BlackBerry 7.0 OS and sports a powerful 1 GHz processor, 8 GB of memory and a 5 MP auto-focus camera. This updated Bold also has Near Field Communication (NFC). NFC technology allows you to read smart tags on signs and posters, and connect with other NFC enabled devices – all with a simple tap. The new 9380 Curve is the first Curve to have a 3.2″ full touchscreen and also has a 5MP camera. It features a features an integrated Social Feeds application, which ties all of your social networks together into one place. The Curve also features NFC (Near Field Communications) and Augmented Reality (driven by the digital compass). The AR functionality allows you to hold up your device and, using the camera, explore the world around you. Standing in front of an important landmark? Just point your BlackBerry Curve 9380 at it and let Wikitude tell you all about it. The AR is also integrated with BBM in virtually real-time so that you can find your BBM contacts in a crowd. Availability and price has not yet been confirmed for the UK. RIM is to offer free premium apps following days of disruption caused by fault at data centre in Slough. It is offering BlackBerry owners 12 free premium apps in a bid to appease customers upset by last week’s widespread data service outages. 12 Apps from BlackBerry App World worth a total of $100 (£63) will be made available over four weeks starting from October 19 which customers can download until the end of December. The apps that will be available for free are: SIMS 3, Bejeweled, N.O.V.A., Texas Hold’em Poker 2, Bubble Bash 2, Photo Editor Ultimate, DriveSafe.ly Pro, iSpeech Translator Pro, Drive Safe.ly Enterprise, Nobex Radio™ Premium, Shazam Encore and Vlingo Plus: Virtual Assistant. We have been advised of a major service issue that has occurred on the RIM / BlackBerry network which is affecting a range of customers globally. Subscribers may experiencing delays in sending or receiving messages, roaming in another location, or using other services such as Internet browsing or instant messaging. Subscribers may also be unable to create new accounts, integrate third-party email accounts, or use BlackBerry subscriber web sites. Devices may not receive new service books. BlackBerry-enabled devices that request a new PIN may not receive a PIN. BlackBerry Enterprise Servers may be unable to connect to the BlackBerry Infrastructure. Other effects include Subscribers may experiencing delays in receiving updates from content push applications (such as news, weather, Facebook, Twitter, eBay, Myspace, podcasts, etc.) or may be unable to add new content push applications. RIM are working on the problem and we advise affected customers to try a hard reset on their handsets from time to time. A hard reset can be performed by pulling the battery from the handset without first switching off the device, waiting for a few moments then re-inserting the battery. Research In Motion (RIM) has launched BBM Music, a new social media service that allows users to share, discover, play and grow their music collections with their BlackBerry Messenger friends. Users can build a personal music profile with 50 of their favourite songs, refreshing their profile by swapping out up to 25 songs each month. They can select music from a catalogue of songs from music companies Universal Music Group, Sony Music Entertainment, Warner Music Group and EMI. A closed beta trial of the service is starting today (30th August 2011) in the UK, Canada and the US. It is expected to be commercially available to customers later this year for a monthly subscription of $4.99 (£3.06), although pricing may vary by country and will be announced upon availability in each country. You are currently browsing the archives for the BlackBerry category. Try our online SMS service – Free Trial! !